The BFI TV 100 is a list compiled in 2000 by the British Film Institute (BFI), chosen by a poll of industry professionals[clarification needed], to determine what were the greatest British television programmes of any genre to have been screened. 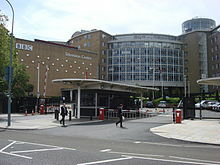 The BBC produced 70 of the 100 programmes on the list. 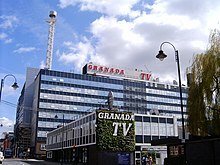 Granada Television produced 7 of the 100 programmes on list - the largest by a commercial broadcaster. Initially, a 'big list' of 650 programmes was drawn up by BFI personnel, and this provisional list was then distributed to 1,600 television industry professionals in the UK, who were each given 30 votes. The listing was split into six categories: Single Dramas, Drama Series and Serials, Comedy and Variety, Factual, Children's / Youth, and Lifestyle & Light Entertainment. Each voter was required to cast a minimum of three votes in every category. News stories were mostly excluded, with exceptions such as the coverage of the death of Diana, Princess of Wales, on the basis that it would be impossible to determine whether it was the coverage or the news itself that made them important. Sport was excluded for similar reasons, and also because many events such as the 1966 World Cup, while important to those in England, would not necessarily matter to those in other areas of the United Kingdom. Some programmes are represented on the list by an entire series. For some series, such as the anthology The Wednesday Play and current affairs show This Week, individual episodes are listed. Television programmes no longer extant in the archives were excluded from consideration. The judges were also asked to name their top overseas programme; they chose US sitcom Frasier. The poll was conducted in the year 2000 and that is reflected in the list below. Series that concluded after that year are thus listed as continuing notwithstanding they are now ended. ^ a b Barnes, Anthony (6 September 2000). "Just don't tell the Major, Fawlty is our favourite". Birmingham Post. Birmingham: Trinity Mirror. ISSN 0963-7915. OCLC 500151397. Retrieved 18 October 2016. "The BFI TV 100 at the BFI website". Archived from the original on 11 September 2011.